Stock # G5449A, 5.7L 8-Cyl Engine, Automatic, 36758 mi. This Corvette is in excellent condition, has the hard top and soft top, manual transmission and drives great. A remarkable corvette in excellent condition. Thank you for visiting another one of Georgetown Auto Sales's online listings! Please continue for more information on this 1995 Chevrolet Corvette with 36,758mi. 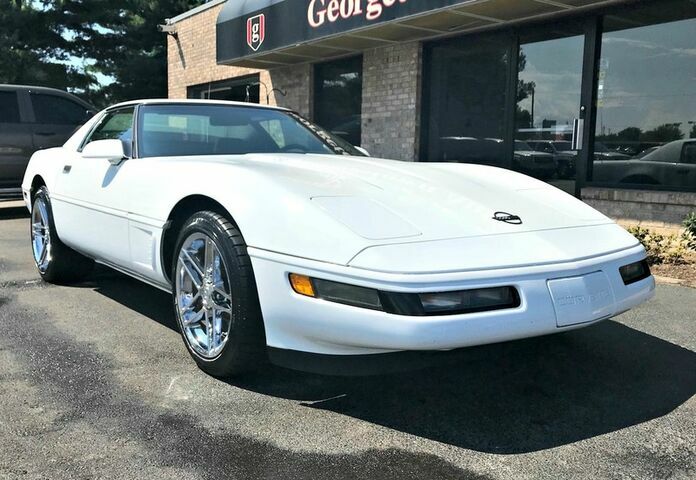 This 1995 Chevrolet Corvette comes with a CARFAX Buyback Guarantee, which means you can buy with certainty. The 1995 Chevrolet Corvette Convertible continues to beat the competition in nearly every way. A sporty driving experience that still maintains impressive levels of ride comfort, along with an exceptional, driver-focused interior make the Chevrolet a recommended pick among convertibles. There's a level of quality and refinement in this Chevrolet Corvette that you won't find in your average vehicle. Exceptional in every sense of the word, this incredibly low mileage vehicle is one of a kind. Stand out from the crowd as a 1995 Chevrolet Corvette is a rare find and just may attract paparazzi. Marked by excellent quality and features with unmistakable refined leather interior that added value and class to the Chevrolet Corvette You will never have to worry about keeping up with traffic in this Chevrolet Corvette as it packs a beast under the hood. This wonderfully maintained Chevrolet Corvette is in the top 10% of its class when it comes to cleanliness and condition. This vehicle includes important services and maintenance records, so you can feel more confident about your buying decision. Equipped with optional wheels.